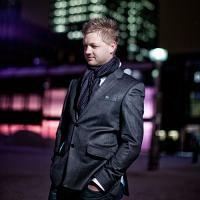 Jonas Kroon is a Norwegian composer creating cinematic music with a blend of world, electronic and orchestral elements. Melo is his debut album, and a gateway into a world of dramatic scenes, beautiful melodies and exotic vocals. Sometimes, when you see a painting or hear a music album, we comment either that it had nice colors or sounded interesting. At other times you come to a simple conclusion "This is art". A masterpiece! 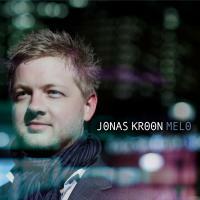 This album is art, and is the first thought which comes to mind when describing Jonas Kroon's creation “Melo". "Melo" is wonderfully light and highly spiritual. It really does justice to the World Music idea by incorporating folk sounds into a very upbeat sound. There is an element of traditional music from different continents, which turns into a trademark of Jonas Kroon, a blending of old/forgotten and new/innovative. What helps is the influence of the folk sounds adds naturally to the dance flavor of the CD, rather than being forced. What is fantastic about "Melo" is the incredible attention to detail. There are many tracks of sound throughout, including dazzling arrays of complimentary keyboard work, deliciously intricate percussion, and expertly weaved vocal lines. Jonas Kroon is one of the rare music artists, which blend world music in a harmonious and coherent style. The entire CD is a great way to escape to the "jungles of the imagination."